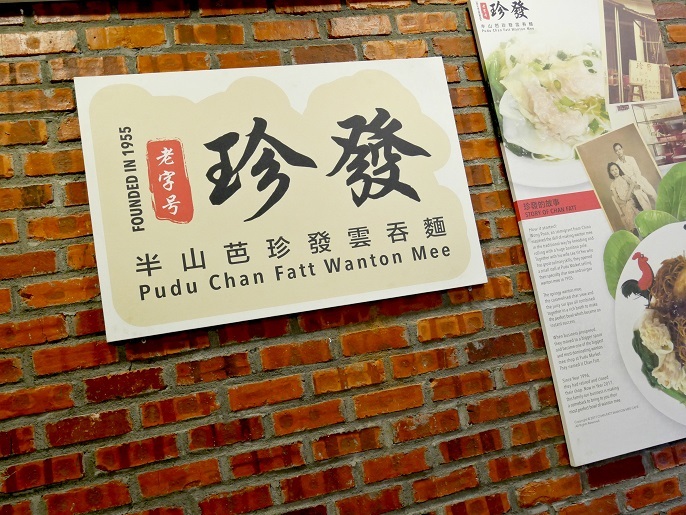 For all wanton mee lovers, Pudu Chan Fatt Wanton Mee is launching a brand new menu alongside with their signature wanton mees! 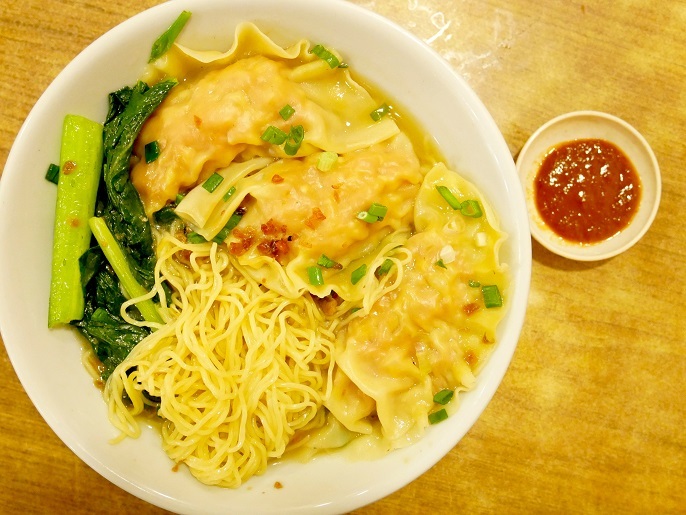 Since year 1996, Pudu Chan Fatt Wanton Mee had closed down their shop, and this year 2017, they are making a comeback to bring you their best bowl of wanton mee! 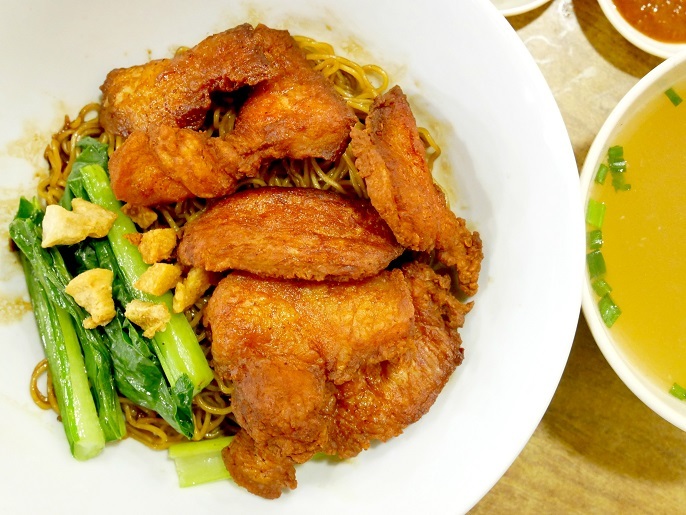 If you are a fans of wanton mee, you probably heard of this restaurant before as they used to have a small stall at Pudu Market selling their specialty char siew and sui gau wanton mee in 1955. 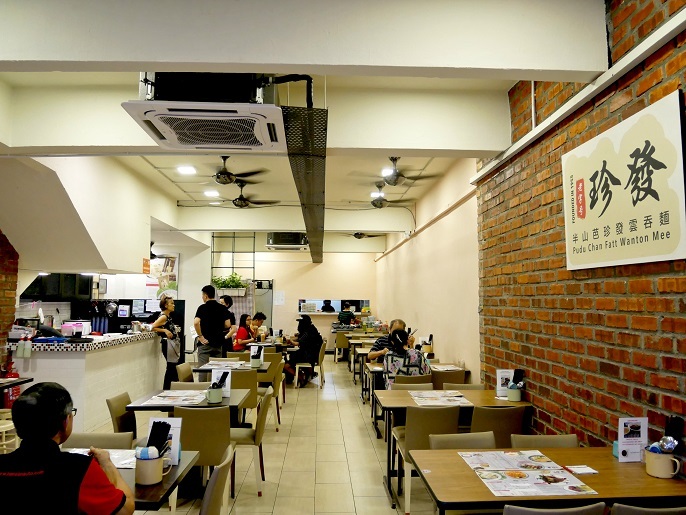 Now, they have moved to a bigger space with a much comfortable dining environment for you! 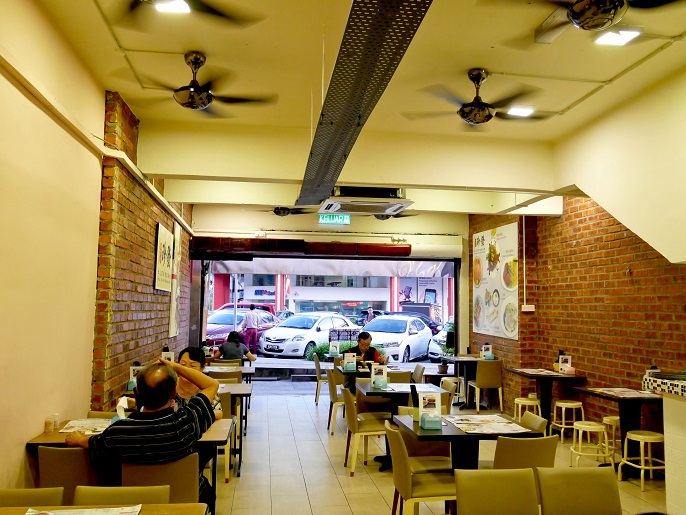 The new Pudu Chan Fatt Wanton Mee located at the busy town of Damansara Uptown. 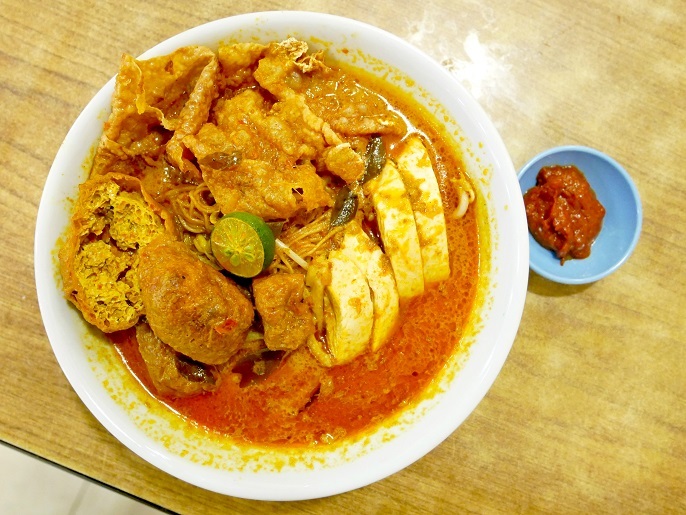 Getting parking in the busy street is always an issue, but good food always worth trying! 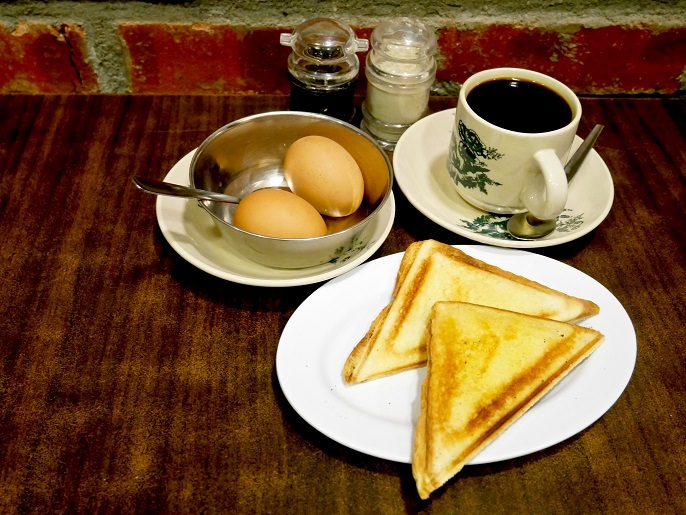 The decor of the restaurant is very simple, and no much fuss about it. 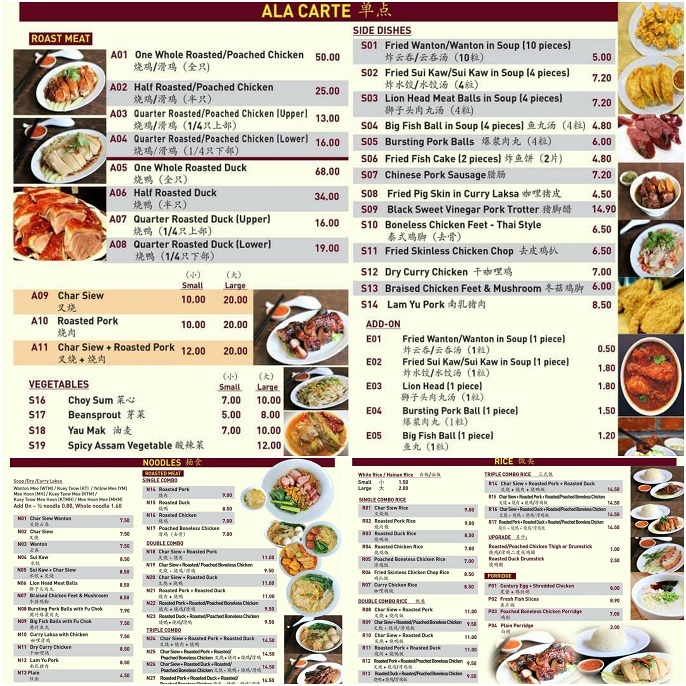 It offers a wide variety of food choices which can really take your time to make your choices, from variety of noodle dishes, rice platters to breakfast and tea sets. 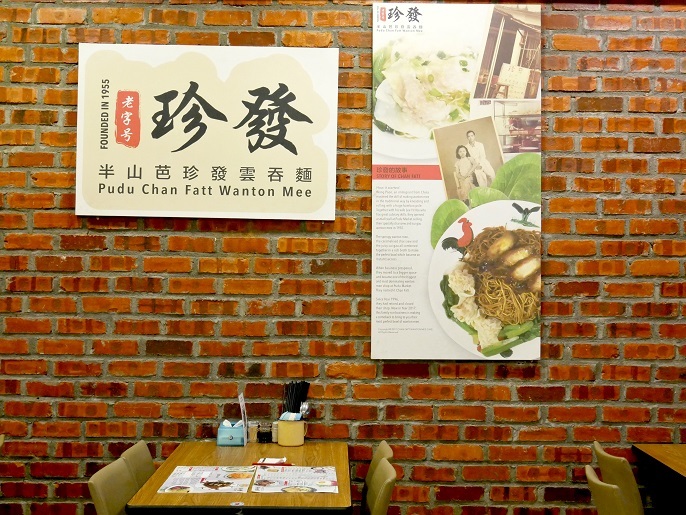 I'm sure there must be something to feed your hunger at Pudu Chan Fatt Wanton Mee! 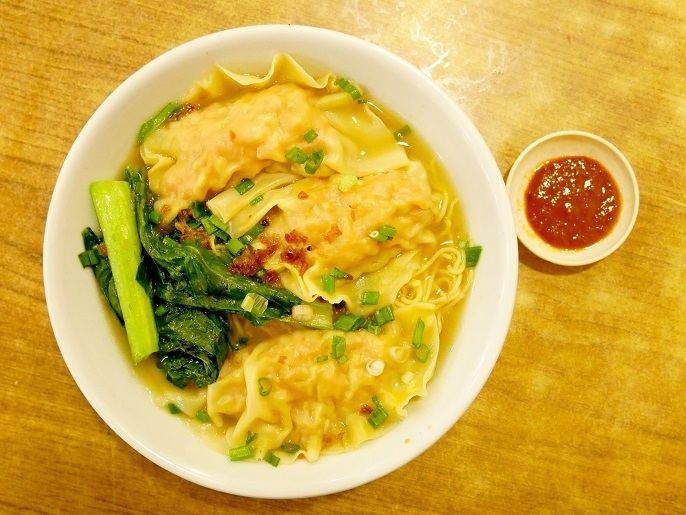 Let's kick this out with their signature Dry Wanton Mee with Char Siew Wanton 干叉烧云吞面 @ RM7.50. 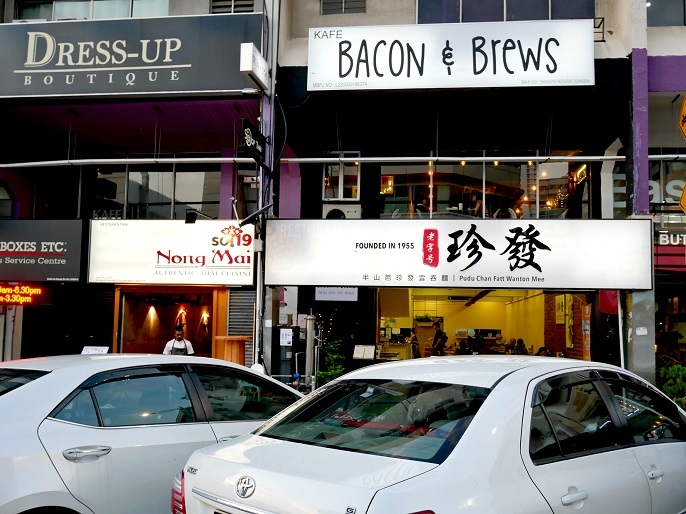 The most signature dishes from the shop which garnished the springy egg noodles with choy sum, wantons and sliced char siu pork. 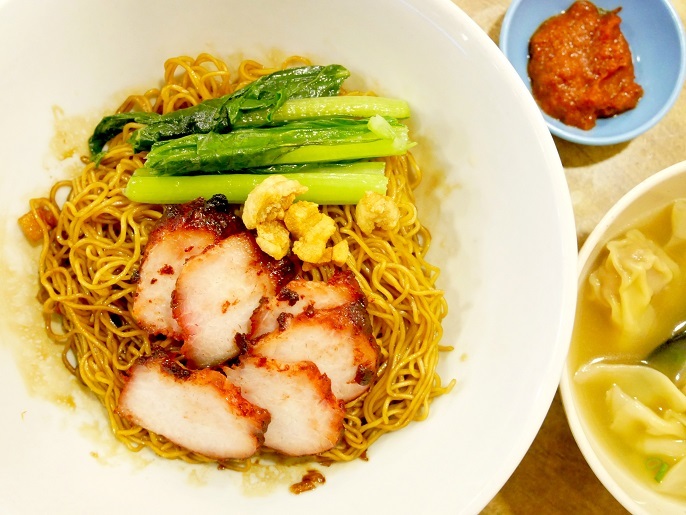 Another option for your wanton mee with the lam yu pork. 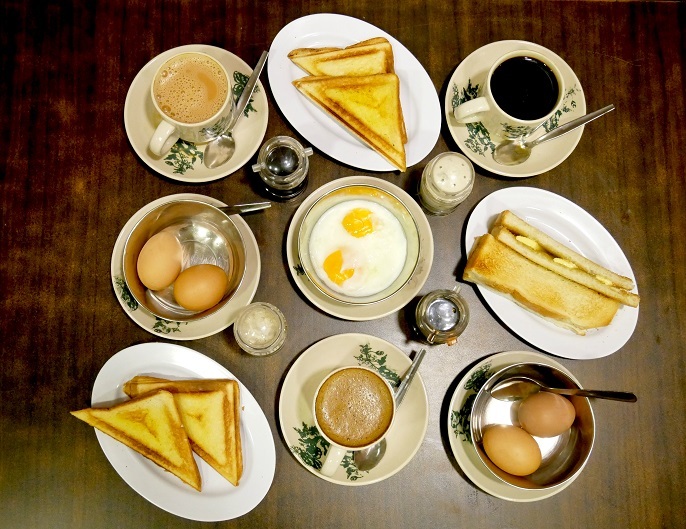 Not everyone will appreciate the taste of lam yu; but if you do, I'm sure this will perfectly whets your appetite. 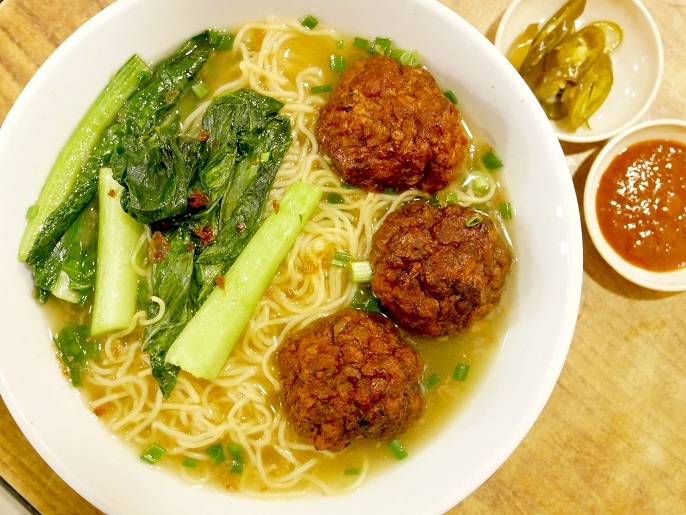 What about the Shaghai-Style Lion Head meatballs with the springy egg noodles? 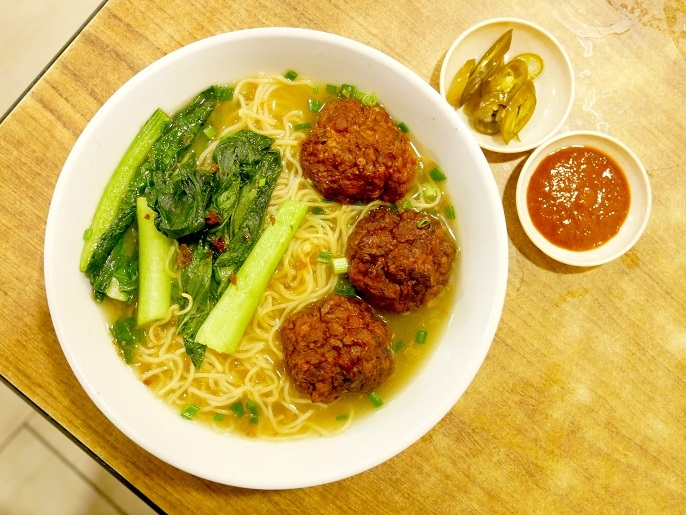 I had never had the meatballs before I came here, and this is gonna be my top favourite with the delicious juicy soft meatballs in a clear broth! It's a delicious spicy curried noodle soup with different toppings include shredded chicken, fried tofu, tao fu pok, and bean sprouts. 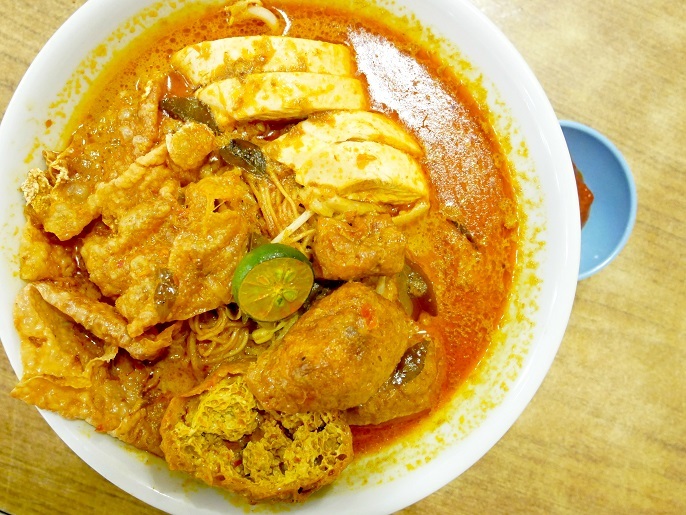 It looks very tempting from it's appearance, indeed the curry soup is a slurp! 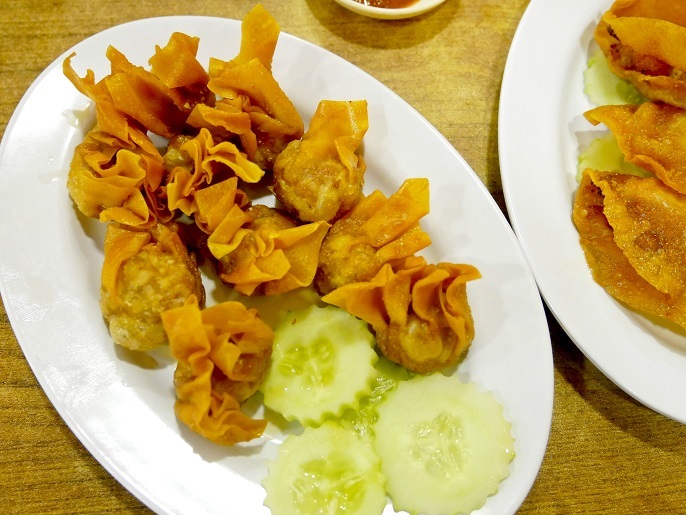 The bowl comes with 3 pieces of Sui Kaw dumplings and each of them wrapped with bits of pork and shrimp. 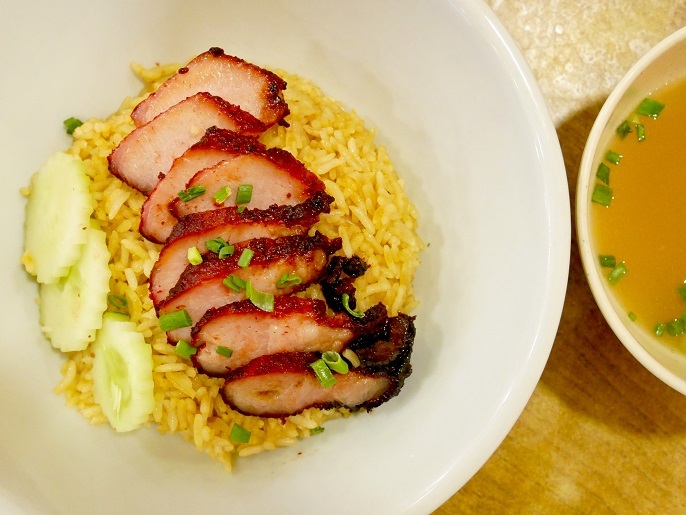 Simple yet delicious and filling for a meal too! 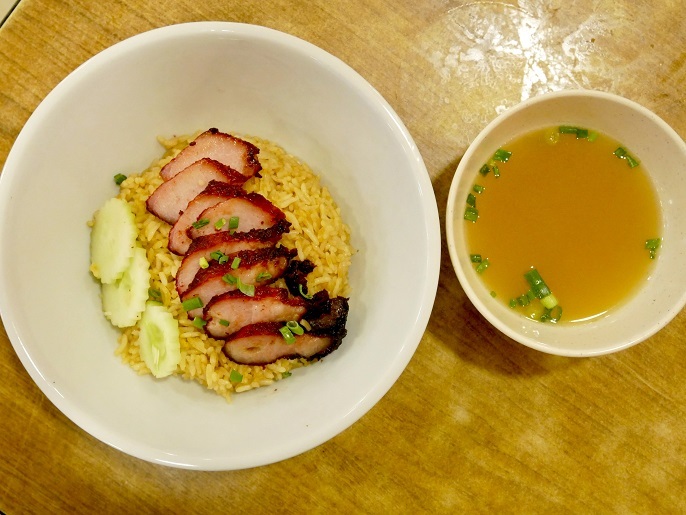 Not only char siew pork is available, you can also have the other choices like roasted pork, roasted chicken, roasted duck, poached boneless chicken, fried skinless chicken chop and curry chicken to pair with your rice dish. I can't wait to try their double and triple combo with the roasted duck! Not getting enough? 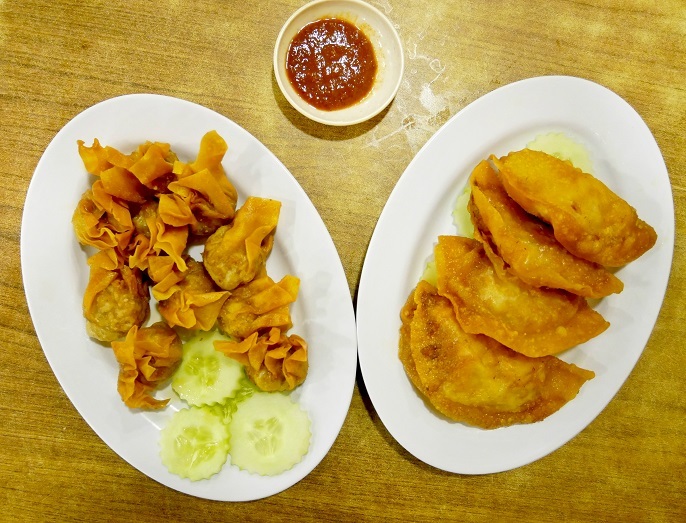 What about some add ons with Fried Wanton @ RM0.50/pc and Fried Sui Kaw @ RM1.80/pc? 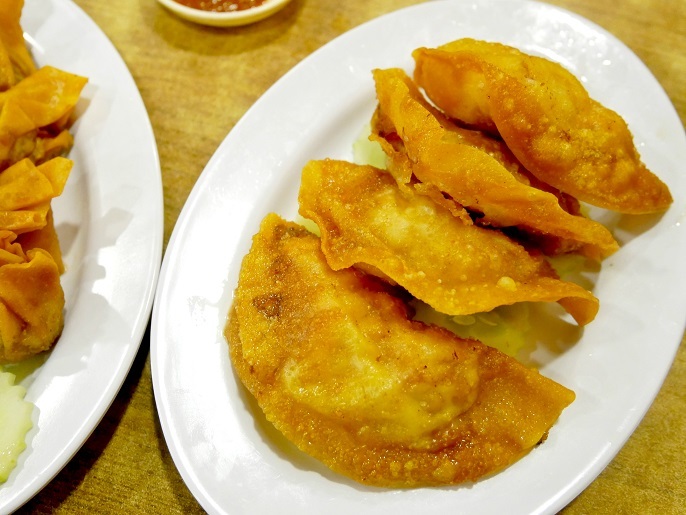 Both fried dumplings give a crispy top, soft bottom with juicy meats filling. 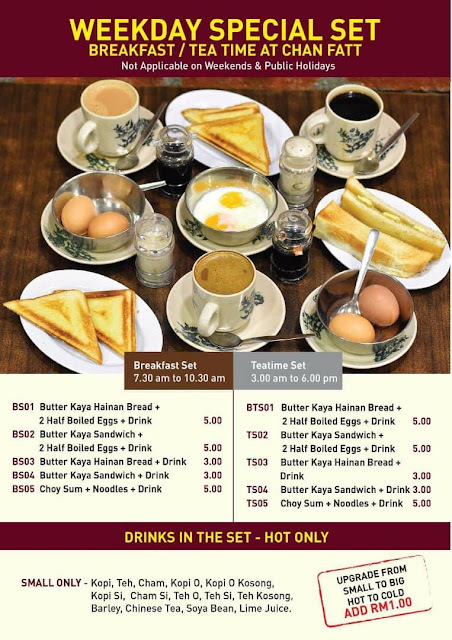 Also, have yourself to enjoy their great value breakfast and tea time sets! 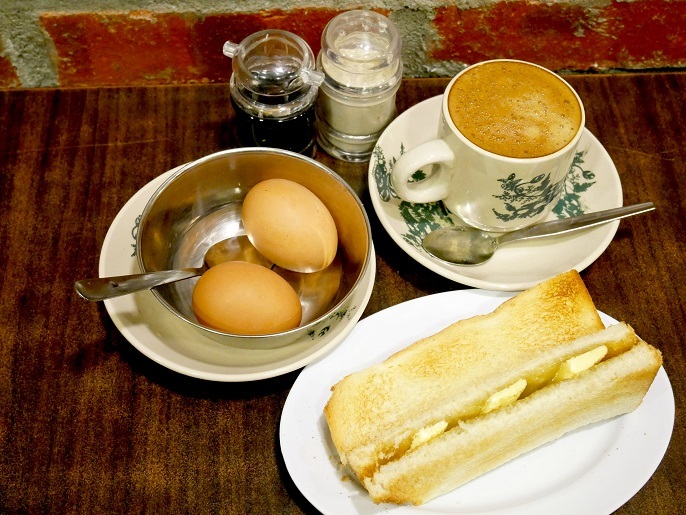 All sandwich meals come with either coffee, tea, soy bean or lime juice. 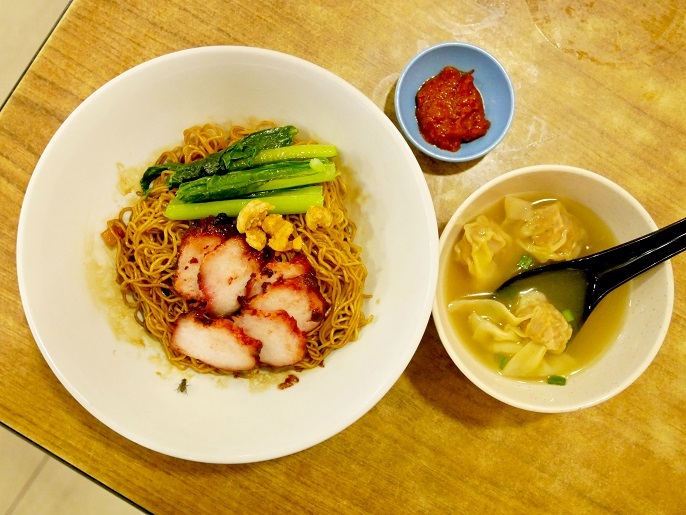 Go catch the Pudu Can Fatt Wanton Mee at Damansara Uptown with their signature springy wanton mee, and also the best deal of the breakfast and tea sets! 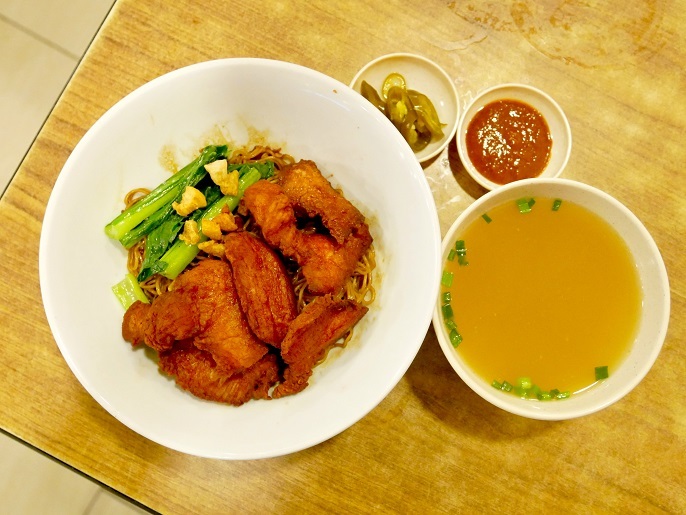 It's surely will recall your memories of the oldies wanton mee at Pudu Market in KL! Simplicity is a beautiful thing. I love being simple, no matter it's for my daily skincare or makeup routines. I don't like to take too much time on makeup and also put too much stuffs stick on my face; I just feel uncomfortable with that. 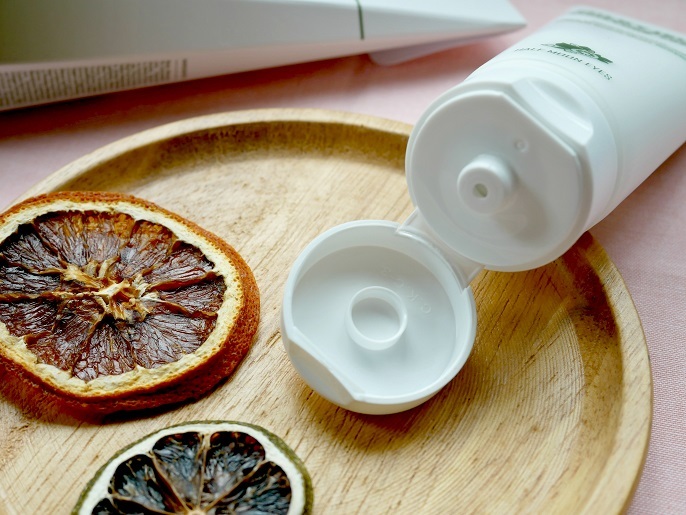 Skincare nowadays can be a lot more complicated, some brands encourage to add more products whereby applying at least 6-7 different products everyday. My God! I think that's really too much. Especially for the morning skincare routine, I always want to keep it as simple as possible, less products or steps would be better since I hate the "heavy" feeling on my face. If you feel the same like me, I believe you gonna love the products from Half Moon Eyes! 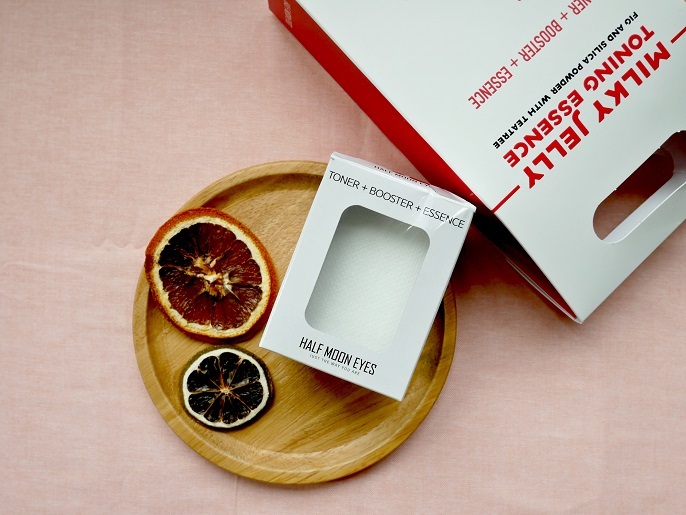 Half Moon Eyes, a new skincare brand from Korea. 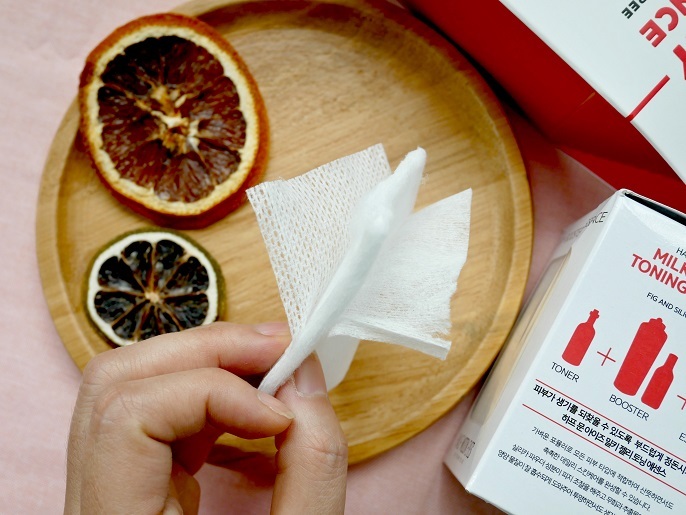 Indeed, there are so many Korean products in the market nowadays, and Half Moon Eyes differentiated from other Korean skincare brands by focusing on 3 principles; simple, fresh and fun. #1 Simple: Find an unique solution to develop a whole new skincare routine that fit to the busy lives. #2 Fresh: Constantly looking out for new product ingredients and researching on developing new methods to provide good effects. 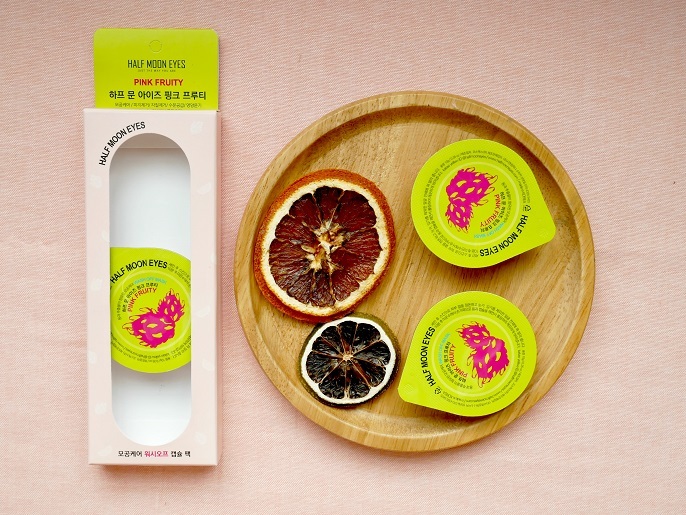 #3 Fun: Create fun packaging designs that full of happy vibes. Half Moon Eyes target women who look for simple steps and easy solutions for carrying out their beauty. As right now, there are only 3 products are sold under Half Moon Eyes, and Pink Fruity is one of the featured product. 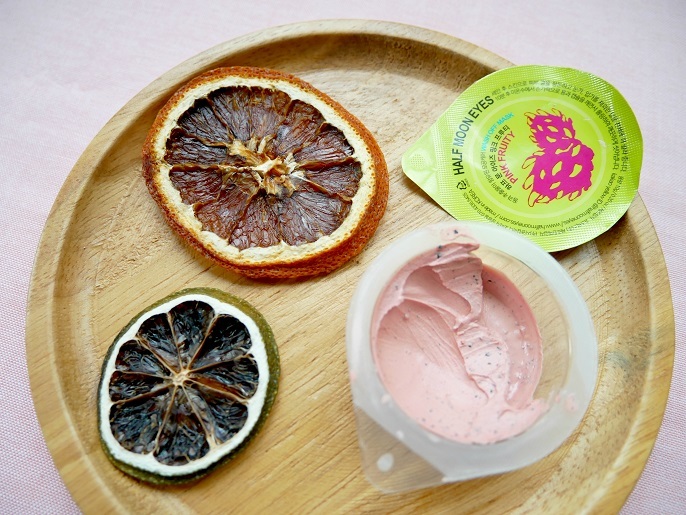 Why this Pink Fruity is so popular is because it contains total 8 effects in 1 mask pack. #1 effectively removes excess oil and waste materials. #2 has high water content to moisture your skin. 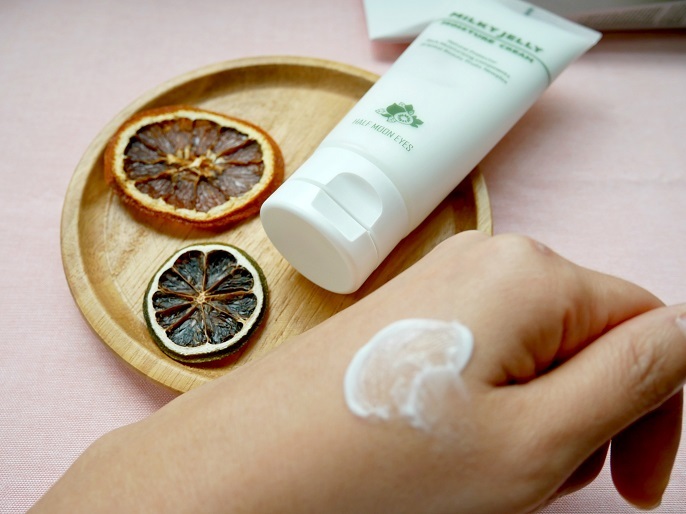 #3 acts as exfoliates to take care of the pore, sebum control and dead skin cells. Pink Fruity is packed in a wash off capsule pack. It is packed in a transparent plastic capsule and each capsule contains 10ml of product. The capsule is not resealable, so it's best to finish all once you open, otherwise the product will dry out very fast. The texture is a bit thick, hard, and powdery, but it's very easy to spread over your face and also wash it off. There are some little black particles inside the mask, which I suppose there are for the exfoliating purpose. Let see the results of my face after the first application of this Pink Fruity. Step #1 Apply Pink Fruity thoroughly over the face after toner, avoid eyes and mouth. Step #2 Becareful not to break the particles when applying. Step #3 Leave it for about 10 minutes until the colour lightens and tingling sensation. Step #4 Then, wash it off gently with warm water by breaking the particles with circular massaging motion. It's recommended to use at least 1-2 times in a week. After 5 minutes of application, I can feel my face was tighten as the mask dried. So, I think it's better to wash off after 10 minutes later like the instruction said, if not your face might feel a pulled at your skin and some sort of drying sensation. Though it looked like a powdery based when it dried, it's not difficult to wash off as it melts easily with water. Remember to massage the content onto your face before rinse it off, so that it helps to exfoliate your skin at the same time. Can you see the difference before and after the Pinky Fruity application? All in all, I think it's a pleasant clay mask which helps your skin in more ways than one. In fact, I feel my skin is soft, feeling refreshed and looking luminous after that. I can see it exfoliate my minor dead skin cell and slightly tighten my pores without any irritation to my face. Will surely add this mask into my skin care ritual to keep a healthy and radiant looking skin! 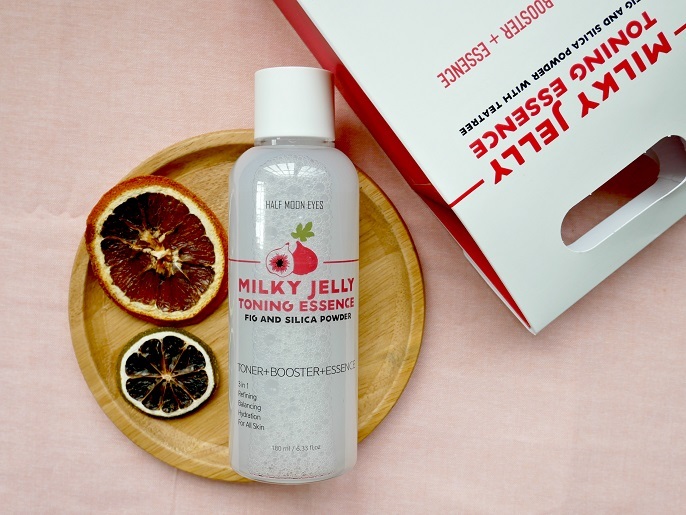 Milky Jelly Toning Essence is best to use at the first level of basic skincare. It comes with the 3 in 1 effect, includes toner, booster and essence. #1 Ficus Carica (Fig) Fruit Extract: have effects against bacteria and pests, refreshes your skin, curing pimples and inflammations. #2 Tea Tree Leaf water: shows amazing effects for soothing skin, moderating skin irritation and refreshing your exhausted and dry skin in hot weather. #3 Silica powder: covers up pores, controls sebum, and eliminates unnecessarily accumulated dead skin cells. 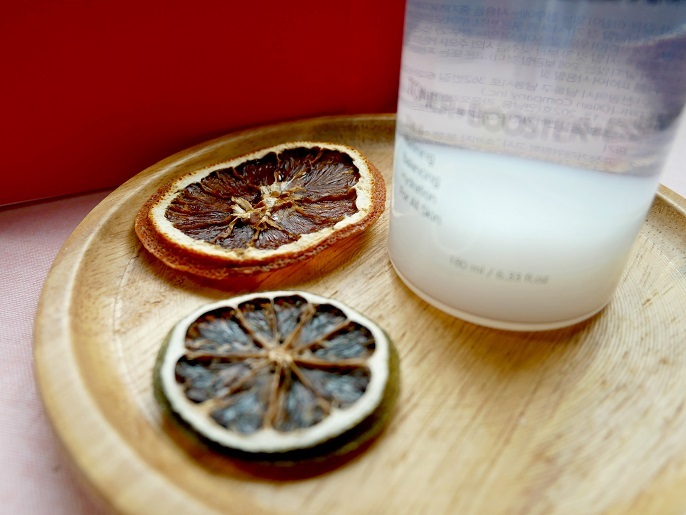 #4 Pomegranate, Mulberry and Ginkgo nut: increase collagen content and prevent aging. It's a water-based essence; so upon application, it's better to use cotton pad otherwise the product will be wasted. For me, it doesn't smell very good, which I feel it smells a bit of like "fruity" alcohol. But the absorption is great which very fast soaks deeply into the skin. There are silica powders settle on the bottom, looks like cotton, so you have to shake it every time before you use the product. The contents of silica powder and essence must mix well together in order to get a better result. 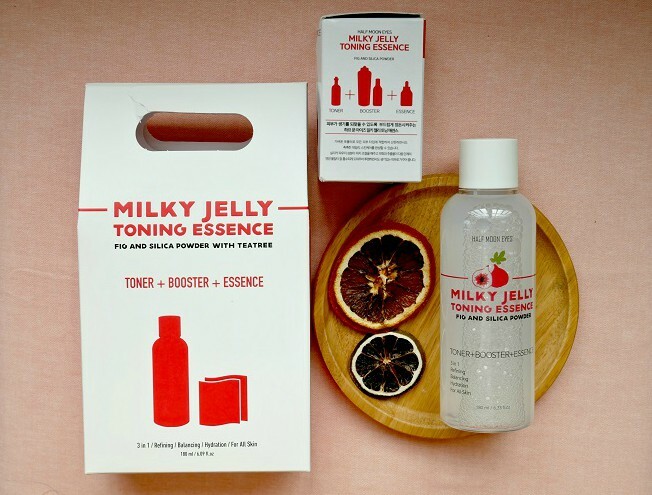 Each Milky Jelly Toning Essence is presented with a box of cotton pad (10 pieces). The cotton pad is different from other cotton pads. It is made of non-woven fabrics attached to both sides of a cotton pad, which is nearly fluffy-free, and it's unlikely to get yarn lump. The special made of cotton pad is benefits for dead skin cell care, patting and skin texture cleaning. And, the sharp parts of the cotton removes through it's interior sealing, so it is unlikely to damage or irritate your skin. And now, let's see how it works on my face?! 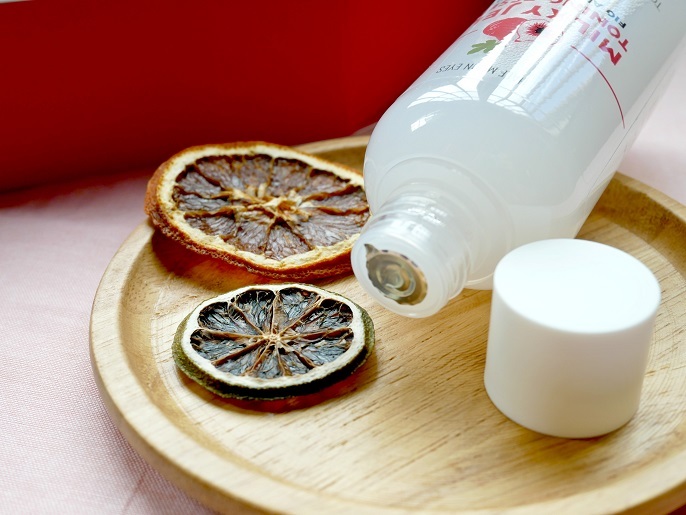 #1 Must shake the bottle until the silica powder is fully mixed with the essence before use. Other than the daily usage, you can also frequently spray it as face mist and soaking it into soothing face pack to use it as a face sheet mask. I always like water-based toner or essence, because it is less heavy and won't leave a sticky feeling on my face. As for this Milky Jelly Toning Essence, it achieved what I'm looking for an essence, by leaving a soft and non-sticky skin touch. I would say it is good to apply with cotton pad as I can see residue on the infused cotton pad when swiping it over my face. Not like all the toners and essences I use can see residues on the pads though. It's good for morning skin care routine since it is a 3-in-1 product; yet if you plan to use it for evening skin care routine, I would suggest to add another layer of serum or essence in order to pumps up your skin moisture. In terms of the effects of soothing and refreshing, it did a real good job, and also I can see my face is less oily after putting on my make up. 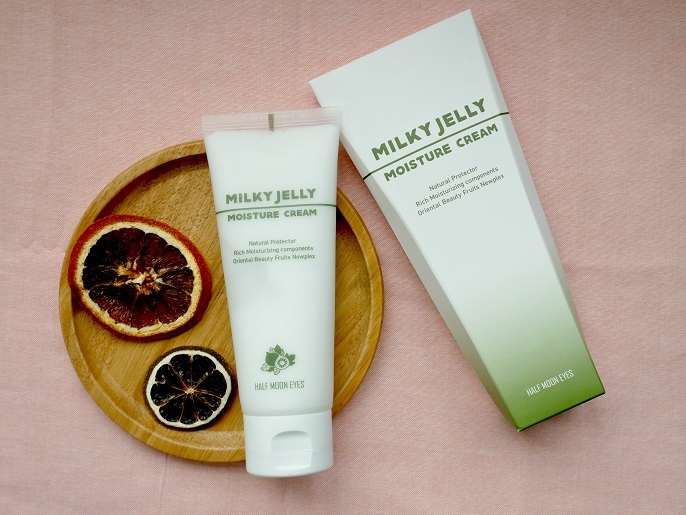 Milky Jelly Moisture Cream is a soft moisturizing cream to protect your skin anytime, anywhere even against dry weather, yellow dust and fine dust. #1 Beauty fruits newplex such as pomegranate, ginko nut,mulberry and Fig: all these contain vegetable estrogen, anti-aging ingredients and activate antioxidant activity, and increase collagen synthesis. #2 7 natural protector such as soybean ferment, cinnamon,willow, oregano, oleracea, obtusa leaf and baicalensis root: safe for human body, free from PH changes and soothe and moisturize skin. Though it looks like a heavy cream, but the texture actually so light and soft. It's non-sticky, and can feel its very water replenishment with rich moist. The scent isn't so great as well, it has a light smell like medicine? Let me try it on my face now! 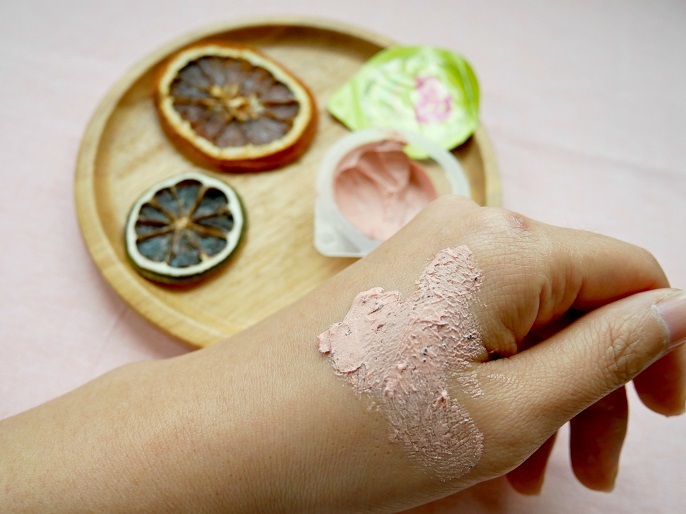 #1 For the creme stage: take proper amount, apply gently along the skin texture and tap to be absorbed into the skin. The first thing I like about this moisture cream is because of it's tube packaging. It's handy to carry around, hygiene, and easy to control the amount I need. I don't feel heavy at all like some other creams I've used before, and also the texture is so light and very adsorbed. I've used many moisturizer cream before, and most of them make my face look a little too shiny or oily, but this moisture cream has a better matte finishing. Overall, I'm loving it to be my morning daily skincare now! Finding a good skincare routine that works for you can be like a never-ending story in your life time. But, we should constantly trying to find out what products are best for us. If you are interested with the Half Moon Eyes products, you can get them now at www.althea.kr. Whenever I'm in the rush or lazy to put lots of things on my face, I would just use them to speed up my routine and get out the door more quickly. 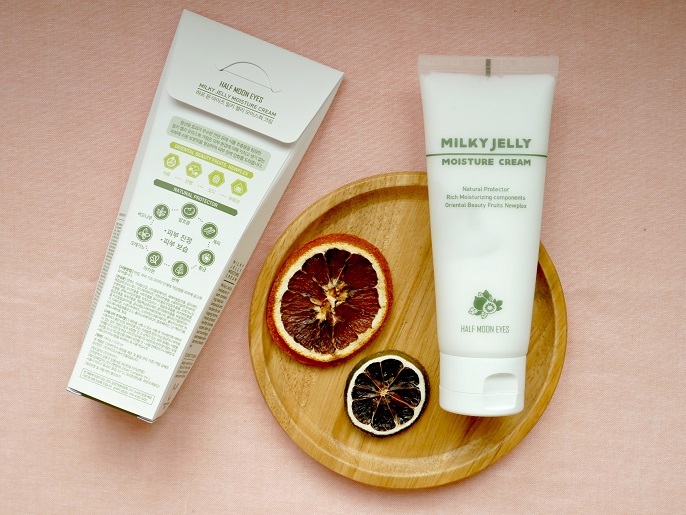 In addition, these products are selling at very reasonable prices too; for instance, Pinky Fruity @ RM7 (1 pack with 10ml), Milky Jelly Toning Essence @ RM65 (180ml), and Milky Moisture Cream @ RM67 (100g). It's so tempted right, ladies? !